Barn Joo is a Korean-inspired gastropub in the bridge over Flatiron District and Union Square. 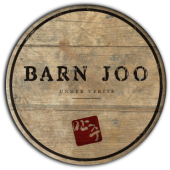 The exciting characteristic of Barn Joo’s menu is a changing array of small plates-highlighting the use of farm to table ingredients-offering comfort foods with the touch of Korean soul. We focus on bringing the best out of ingredients and transform them into exotic flavor profiles, yet in a simple form that our guests can relate to. Guests are welcome for a quick bite at the bar, a specialty cocktail in the lounge, or for a pleasant dining under our naturally organic yet unique ambiance. 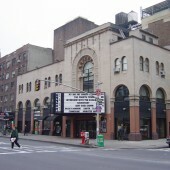 The City Cinema Village East, located at 181-189 Second Avenue, opened in 1926 as The Yiddish Art Theater in the heart of New York City’s Jewish Rialto district. Designed by prominent Brooklyn lawyer and Jewish community leader Louis Jaffe, the historic building was built as an elaborate, 1265 seat live theater for Yiddish theater pioneer Maurice Schwartz. The interior was designed in the Moorish Revival style that was popular in synagogues at the time, and included a forty-foot ornamental ceiling with a spectacular Star of David in the center that is still present today. The Asian American / Asian Research Institute (AAARI) was established on November 19, 2001, by The City University of New York (CUNY) Board of Trustees, in a resolution introduced by Chancellor Matthew Goldstein. 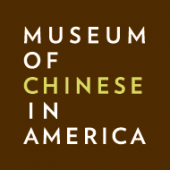 The Institute is a university-wide scholarly research and resource center that focuses on policies and issues that affect Asians and Asian Americans. It covers four areas: Asian American Studies; East Asian Studies; South Asian Studies; and Trade & Technology Studies. 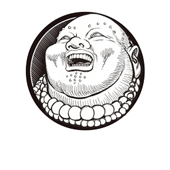 Established in 2010, Fat Buddha came to the East Village to show people how to reach enlightenment through great food, drinks, company, and music. Late night kitchen that is open till 2 am, and 3 am Thu-Sat! The Made in NY Media Center by IFP, designed by MESH Architects, is a multi-disciplinary creative space with over 20,000 square feet at 30 John Street in Dumbo, Brooklyn. The space was until recently a split-level shipping/receiving/truck parking area. The lower area becomes the large incubator and the upper area a short-term open workspace. Support programs are wrapped around: classrooms, conference rooms, editing rooms. Major shared amenities are staged as dramatic pavilions within the space: screening room, library, cafe, and rest rooms. Each of these has a different form of media and dramatic lighting. The centerpiece is the screening room, which has a continuous, wrap-around media projection wall on the outside and a warm interior of felt and reclaimed wood. Mandarin Ink is the tale of a few good friends who came together one day to reminisce about their childhood days in Chinese school. 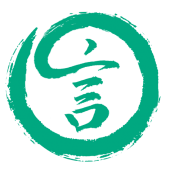 The Mission of Mandarin Ink is to introduce and to foster awareness of the Chinese culture and language in the youth of New York City by complementing their current educational experiences with global enrichment activities. By providing developmentally appropriate hands-on activities, we aim to inspire children´s curiosity and readiness to learn a new language and culture. 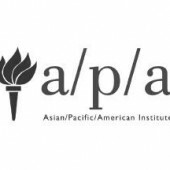 The Asian/Pacific/American Institute was established in 1996 as the Asian/Pacific/American Program & Institute at NYU in response to student interest combined with the University’s commitment to global excellence. 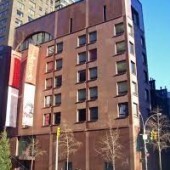 Formerly located on Mercer Street in Greenwich Village, A/P/A Institute provided a space in which research and public programs with a focus on community and intercultural studies were made accessible to faculty, students and the New York community within a broad, rigorous international and comparative framework.